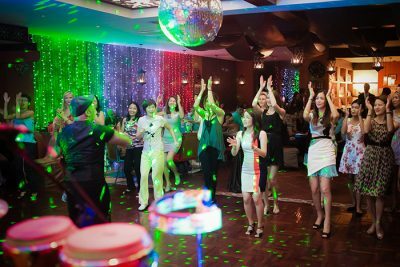 Bangkok (Thailand) – September, 2016 – Party night in Bangkok is now every Saturday 6pm to 2am at the Rembrandt Hotel’s authentic Mexicano restaurant featuring “Sabado Latin Party”, a fabulous fiesta of fun-loving gals and guys, Latin dancing, delicious Mexican cuisine and great priced drinks. To get the action rolling, the grand launch of Sabado Latin Party featured spectacular evening parties under the theme of ‘Eatertainment’. international latino DJ, Luiz Calderon. Professional Latin dance teacher Sultan Jamal wowed the crowd as he made hip-huggin’ moves across the Tango floor. Not to be outdone, partygoers made the most of the 60 different tequilas, local beers and wines on offer. A legendary night at the legendary Mexicano! You too can party the night away with Sabado EVERY SATURDAY 6PM to 2AM with two dance floors – Tango at Flavours and Latin at the Mexicano – and enjoy nonstop fun to the beats of great Mexican music. Free salsa dance training from 7 PM to 8 PM! All daily promotions available after 10 pm. (MRT Sukhumvit Station) are just a short 5-minute walk from the hotel or guests may ride on a complimentary 24-hour “tuk tuk” shuttle service to the main road. This quality hotel is a great location for both tourists and business travelers, who will find easy access to Sukhumvit and the Bangkok CBD.